YourMum is a happy bunny indeed to announce that multi-platinum pop-star Mika is back! With new singles and a much sought after new album 'No Place In Heaven' to follow, Mika will make his highly anticipated live return to Hong Kong with us on June 3rd. A celebrated local favourite, Mika will be playing an exclusive and intimate live set at The Vine in Wan Chai to those lucky enough to grab their tickets fast enough! 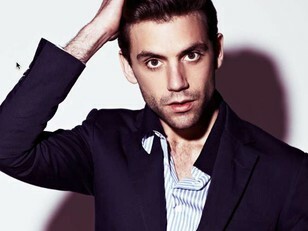 Propelled in to the spotlight following his BBC 'Sound of 2007' victory, Mika hit true worldwide acclaim with his multi-million selling debut 'Life In Cartoon Motion' and subsequent follow ups: 'The Boy Who Knew Too Much' and 'The Origin Of Love'. For his new record, Mika enlisted long-time collaborator Greg Wells (Katy Perry, Pharrell Williams, Adele and others) to produce the album, and HK fans will be amongst the first in the world to get to see and hear these new tracks, live (amongst his existing popular classics). Mika has spent the last couple of years conquering the hearts of audiences across Europe, appearing as a judge/Coach on both X Factor and The Voice. Outside of music, he has been working closely with global watch brand Swatch and renowned Italian fashion house, Valentino. His previous single 'Popular ft. Ariana Grande' recently hit 100 million views on Youtube and Vevo, and in all has sold over 10 million albums across worldwide. With a host of awards (Brit and MTV to name but two) his live performance at the London 2012 Olympics and so much more, you can see why the Lebanese-British pop star has remained at the top of his game and in consistent high demand. We're delighted to present the return to Hong Kong of this much loved star, and highly advise fans to get your tickets well in advance to avoid disappointment. It's a limited capacity venue, which will make for an incredibly special evening indeed, up close, and personal with Mika. Your ticket will give you access to one of two viewing areas, a free seating area and a free standing area.